The accounting office of Jorge Herrera CPA, CIA, PC, established in 1997 as a sole proprietorship, and as a Professional Corporation in 2009, is dedicated to providing superior services to their clients, large and small. As such, they retain dedicated and well-trained staff accountants, and have the flexibility to hire additional personnel for special projects. 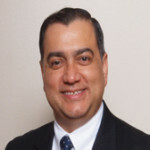 Jorge Herrera, CPA, CIA, is licensed in both Texas (1991) and Mexico (1985) as a Certified Public Accountant and is also a Certified Internal Auditor in the United States (2000). The office provides the following services: CPA services, tax preparation, Quickbooks training, consulting employee training, internal audits, and business consulting. Mr. Herrera was a member of external audit teams since 1989 performing auditing services for City Public Service, San Antonio Water System, VIA Metropolitan Authority, as well as Not-for-Profit Organizations such as Project Quest, George Gervin Youth Center, National Kidney Foundation. These teams have included members of recognized CPA firms like Price Waterhouse, Arthur Andersen, Padgett Stratemann, C.C. Garcia & Co. The experience of the staff, and the flexible structure offered by the office of Jorge Herrera, CPA, CIA, PC, helps ensure professional and effective attainment of clients’ goals and organizational objectives.